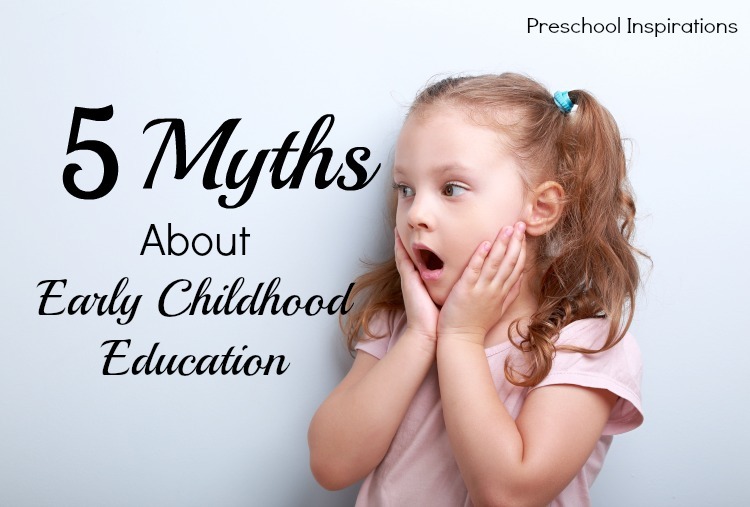 Have you heard these 5 myths about early childhood education? I have! I’ve heard it from friends, from family members, and also from people buzzing around the internet. Some of them are completely shocking. These five myths have spread like wildfire, but I want to expose them for what they are: just rumors! 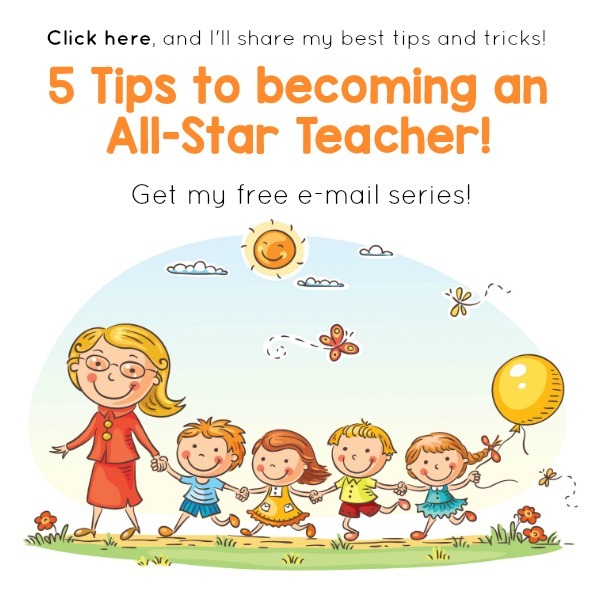 This is part of a blog hop from Stay at Home Educator, and you can read more about what goes on behind closed doors in preschool and childcare at the very end of this post. Probably the biggest insult you can throw at a child’s teacher or childcare provider is to call her a babysitter! 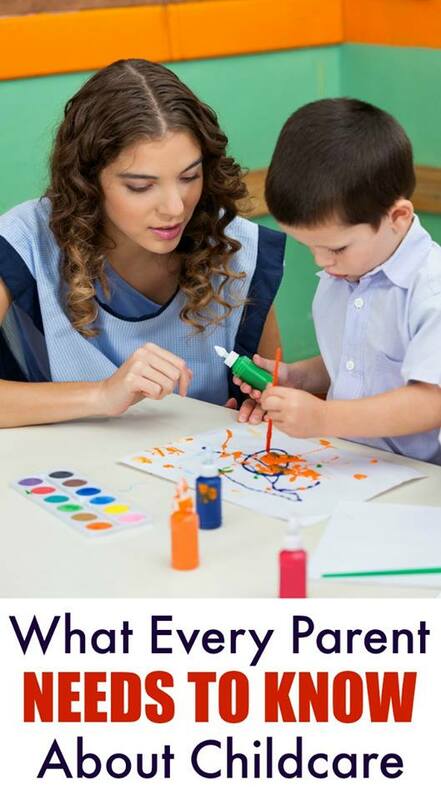 Childcare is a profession and a very invaluable career. There is not just a quick course that someone takes to become qualified. Many childcare providers have dedicated their lives to this profession and have poured their heart and soul into their classes or programs. This is their livelihood! They are dedicated to raising up the next generation. Some of the best mentors I have ever had worked with infants all day long, but I would never call them a babysitter! Who sits on babies anyways? Oh, I wish this was true! Teachers and child care providers deserve to be paid so much more, but that’s a whole topic in itself. The truth is that tuition covers so many costs: supplies, food, furniture, curriculum, replacement, licensing fees, insurance, marketing costs, learning activities, dishes, paper products, safety supplies, office supplies, and more. When you write that check each week, keep in mind that you are paying for an entire program, not just a teacher or childcare provider. Early childhood teachers in the U.S. usually get paid around minimum wage or slightly higher. The sad reality is that many providers depend on their spouse’s income, or they leave the field later on to pursue a livable wage. This is one of the myths I hear most frequently! When it comes to buying shoes, you get what you pay for. There is a huge difference between a $10 pair of shoes and a $60 pair of shoes. When it comes to the ECE field, this just isn’t the case. The truth is that you can pay a lot of money for a mediocre program, or you could be paying a small amount for a top notch program. And vice-versa of course. There are even some amazing programs for free. You have to look past dollar signs and look into the heart of a program! Some of the best teachers work in the most affordable programs, and that’s a great thing! When I worked in a center as a program administrator, I dreamed of owning my own program — in my home. I wanted to be at home with my own children, have a smaller ratio, and choose the families that were the best fit for the program. I loved handpicking who my children played with and having full freedom to make an amazing curriculum. I was a program administrator with an ECE degree and 10 years of experience who couldn’t wait for the freedom of my own program – in a home. And I know plenty of other providers with my experience and beyond who are doing the same thing! How many of us have heard this! However, any program that is lucky enough to employ a caring male figure is worth its weight in gold. Some of the most noteworthy ECE figures who I love reading advice from are men: Tim from Taught by Finland, Teacher Tom, and Scott from Brick by Brick. And honestly, I think my husband rocks! He does a great job with fathering our own children, and all of my classes looked forward to the times he would pop in and say hello. I hope that the next time you hear one of these myths, you will kindly explain that it simply is not true. Would you like to hear more about the ECE field and what it is really like? Take a look at these posts below! Great post!! Especially the myth about men in early education! I’ve worked with a few and the children love having male role models around, they are just as capable in an ECE setting as women. That’s so true, Lisette! Children thrive with having men role models around. My son has a male preschool teacher at church, and he is one of the best teachers I’ve met. Thank you for bringing up these points for people to see! So true! I hope it is helpful! Thank you so much for visiting, Christina! Great post but such a shame there are thesw myths out there. As a childminder my fees are less than the local nursery bit that doesn’t meant i offer a lower quality of care. Instead I can offer lower staff to children ratios in a caring and loving home from home environment. Oh I love hearing this, Clare! What a wonderful option you are to parents! !